Flywheel indoor cycling classes offer unmatched performance tracking technology, a supportive, welcoming atmosphere, and proven results. Their highly trained instructors are cycling enthusiasts who are committed to helping you succeed. Shoes, towels and combination lockers are all complimentary, making your total experience comfortable from the moment you walk in to the moment you leave. Love Lisa’s class at Flywheel. Such great music and inspires me to push for more. Kelsey is the best instructor!! Her music is ????. She is encouraging and motivating. Her sense of humor and delightful charm fill the room. I leave her classes feeling inspired and fired up. Can’t recommend Kelsey’s class enough. 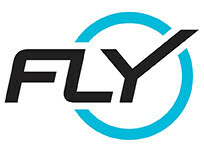 Love Flywheel, not huge fan of this instructor. She didn’t shut up the whole hour, makes a it really hard to concentrate when she’s screams nonstop. This workout is quick but make no mistake, it will push you! The studio is super clean and the staff will help you get started if it's your first time. Pretty quick to pick up if you've never done a cycling class before. Great showers and amenities! The only thing I will say was the music was pretty off for me, not the right energy for a 6 am workout but the instructor was awesome. Love Mario and how he pushes me so much harder than I think I can. I’m serious that he actually helps me get past my mental roadblocks. He reminds me that I am an athlete who just so happens to work an office job.